Michigan has officially legalized marijuana, but what comes next? When voters approved Proposal 1 on Nov. 6, they made Michigan the 10th state in the U.S. to legalize recreational marijuana. The proposal, which officially went into effect on Dec. 6, allows individuals 21 and older to purchase, possess, grow and use marijuana recreationally. The proposal also imposes a 10-ounce limit at residences, and permits a retail sales tax of 10 percent to marijuana products dedicated to the implementation costs of schools, roads, clinical trials and municipalities where marijuana businesses are located. Marijuana use and possession may be legal for recreational use in the State of Michigan, but legislation, economic impact and criminal implications are just beginning. For starters, one major criminal implication feared by many voters opposing Proposal 1 revolves around an increase in underage usage now that the substance can be legally purchased by adults 21 years and older. According to Michigan State Police Records, there were 4,739 marijuana arrests in 2017, and 651 of those arrests, or nearly 14 percent, were for individuals younger than 21 years old. Marijuana was legalized in the state of Colorado in January of 2014, and the state has adapted its own system for controlling underage consumption. Pitkin County sheriff Joe DiSalvo has worked as a sheriff in the City of Aspen, Colorado for 32 years, and stands as a longtime proponent of marijuana legalization through advocating for legislation over the span of 40 years – focusing heavily on the issue of underage possession and usage. On the other hand, DiSalvo reported that adult usage has been very controlled over the past five years. In his own work, DiSalvo has seen very few cases of drivers operating vehicles under the influence, which was an initial concern for Colorado officials. In Colorado and Canada, the second country to federally legalize recreational marijuana, usage is monitored in drivers through blood samples. Drivers with five nanograms of active tetrahydrocannabinol (THC) in their blood can be charged with driving under the influence, according to the Colorado Department of Transportation. According to DiSalvo, this charge is not common in his everyday job, and marijuana is typically under control for users when driving in his own experience. 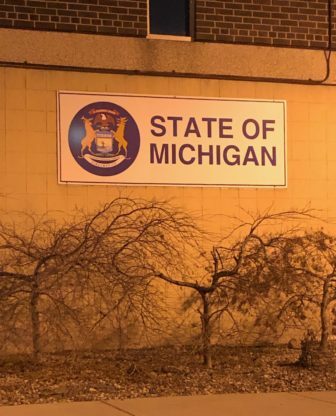 According to Nick Zettell, co-founder and CEO for MI Legalize, a group that has lobbied for Proposal 1 since 2016, work is far from over for lobbyists in regards to the criminal implications of marijuana. In fact, the work is headed straight towards Michigan’s House of Representatives. 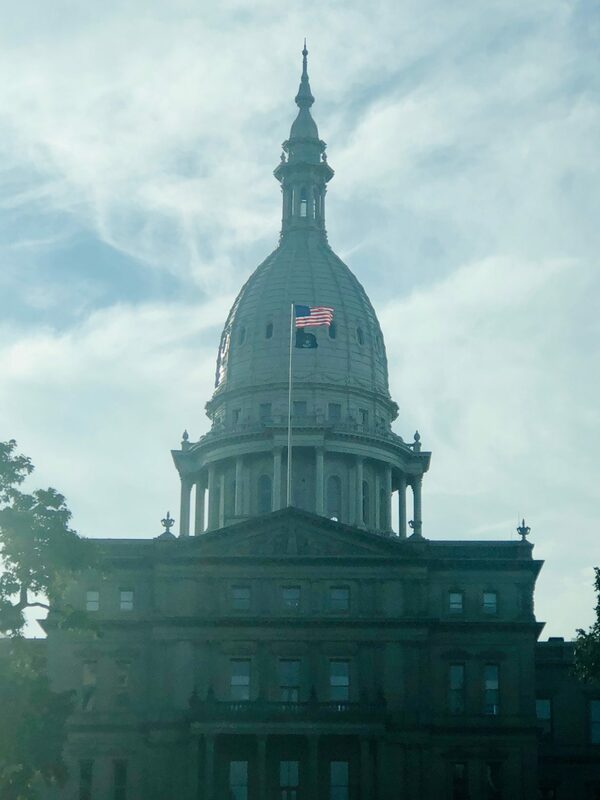 Many lobbyists have suggested the idea of expungement, or court ordered processes to seal or erase past arrests or convictions, and Zettell believes this will have a positive impact on Michigan’s criminal justice system, and should be the next step in the group’s initiative. Democratic state Rep. Sheldon Neeley, who will move into his third term representing the 34th District in January, shares this belief, and has introduced a House bill to provide expungement for these convictions now that the substance is legal for recreational use. Under his bill, the House would only expunge misdemeanor convictions, including cannabis growing or minor possession charges. According to the Detroit Free Press, now that Proposal 1 has been approved, judges may grant requests for expungement. The Detroit News also reported that democratic Governor-elect Gretchen Whitmer, who will replace Gov. Rick Snyder Jan. 1, plans to take further action to free convicts and expunge records for those convicted of marijuana related crimes. The Detroit Free Press additionally stated that Whitmer may initiate this action through granting clemency to those serving time in state prison for marijuana-related convictions. In the meantime, Representative Neeley is currently waiting for a hearing to see if his initial bill will be passed, and Whitmer told the Free Press that she plans to pursue these options in early 2019. Michigan was the first state outside of Northeast and West United States to legalize recreational marijuana, and allows adults 21 and over to possess and use marijuana products. Zettell also explained that implementation will often be in the hands of county prosecutors, and said that many departments are beginning to drop charges. Michigan State University criminal justice student Nate Hicks believes that the proposal will allow police officers to spend more time on issues pertaining public safety. 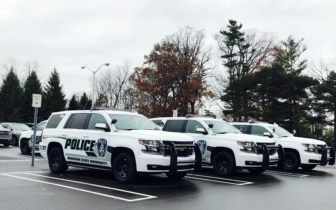 The proposal will also benefit police community relations, according to Howard Wooldridge, co-founder of LEAP (Law Enforcement Against Prohibition) and founder and drug policy expert for Citizens Opposing Prohibition.org. Wooldridge worked as a police officer in Mid-Michigan for 18 years. He retired as a detective from Bath Township after working in three area Lansing departments as an officer, including Bath township, Dewitt township and the city of Potterville. Wooldridge has also watched legalization take place in other states through his activism efforts, and believes the final call on marijuana related crimes will come from the counties themselves. Although many officers have voiced their support for legalization, many areas of Michigan had an opposite reaction. To be exact, 32 of Michigan’s 83 counties had majority opposition votes for Proposal 1. There are many rules to recreational marijuana legalization including that the substance must be used in private places, and adults can carry up to 2.5 ounces at a time. 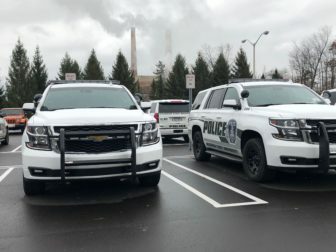 Most Wyoming, Michigan residents voted against the proposal, as police officers, public health officials and protectors participated in rallies at their local police department, according to WOOD-TV. The Michigan Chamber of Commerce also opposed the proposal, for potential issues surrounding the ability of employers to maintain a safe and drug-free workplace and controversy with employer rights. An opposition group called Healthy and Productive Michigan also argues that legalizing marijuana will lead to higher workplace injuries and an increase in police responsibility when monitoring drivers. Although marijuana possession and usage may be legal, how will residents without medical marijuana licenses purchase the substance? According to the Lansing State Journal, if communities chose to opt in for Michigan’s business licensing system, retail stores will open in 2019. The time frame for opening municipalities remains unknown, as licensing and regulations develop for future marijuana businesses. Although the Michigan Regulation and Taxation of Marijuana Act took effect on Dec. 6, cities have the power to decide whether or not they will allow stores to open – which will take time. With a delay in retail stores opening, officers are left with a gray area in the law. If an adult over 21 carries marijuana without a medical marijuana card prior to the opening of stores, then the substance is assumed to be obtained illegally. Some officers may conclude that the substance was home grown, but the seeds to begin growth must also be purchased illegally, leaving officers in charge of making a decision on whether or not legal action should be taken. Sheriff DiSalvo recognized this gray area in the legalization process in 2014 when Colorado approved recreational marijuana, and founded an organization to educate and protect the community called Valley Marijuana Council. The Valley Marijuana Council formed in January of 2014 to ensure the introduction of retail marijuana would be safe and responsible for Colorado residents, and provided an educational program for children, residents and visitors. The group was formed by a group of community stakeholders including leaders from hospitals, high schools, ski companies, businesses, doctor’s offices and police departments. This method was introduced in communities to train and educate retail owners and citizens on the substance and how it can be abused. From there, the group began a campaign to educate the tourist community on what products looked like, and reasons it should be kept away from children. DiSalvo implemented new methods of communication to ensure everyone was on the same page including implementing a Spanish program for workers in the service industry, spreading their education to other communities in Colorado looking for help and informing marijuana clubs of appropriate standards when serving patrons. DiSalvo believed that the gray area did not affect Colorado due to the efforts of community groups such as the Valley Marijuana Council, but also gave credit to officer instinct and decision making. On the other hand, many officers believe the confusion and gray area of marijuana protocol exists long before legalization. Grand Rapids, Michigan native and police officer for the Odessa Police Department in West Texas, Ben Wollet, said officers have a lot of discretion in how to enforce marijuana laws. The inconsistency of procedure among different police stations prior to the approval of Proposal 1 has led to issues across counties when handling arrests and crime, but Nick Zettell believes that legalization has the power to improve this issue. Although the proposal was passed in Michigan by 495,034 votes, or nearly 56 percent approval rate, other states have had less success in passing the legislation – and according to Wooldridge, this is beginning to affect political agendas. Wooldridge works in Washington D.C. and strives to educate lawmakers, congressmen and senators on the advantages of ending the federal prohibition of marijuana. Wooldridge urges these Republicans to support legalization in order to increase their chances of winning elections due to less Democratic, one-issue voters that may only be attending polls to vote for recreational legalization on election day. Michigan State University criminal justice student John Bower plans to pursue a career in federal law enforcement, and believes there may not be a future for national marijuana legalization. In regards to the economy, Wooldridge believes time will be needed for retail stores to adhere to the state’s lack of supply to an overwhelming amount of demand. Michigan’s state budget will be affected by the impact of Proposal 1, as voters were also approving a 10 percent tax on marijuana retail products – dedicated to implementation costs, clinical trials, schools, roads and municipalities where marijuana businesses are located. The marijuana industry could generate more than $260 million a year in revenue, including $140 million for the School Aid Fund and $63 million for the Michigan Transportation Fund, according to the Michigan Senate Fiscal Agency. Although many cops project a decrease in costs dedicated to marijuana related crimes, the Department of State Police will now be required to cooperate and assist in conducting background investigations of applicants who plan to open marijuana retail stores, according to the Michigan Senate Fiscal Agency. Many projections show that the proposal may also reduce police costs. Nearly $95 million was spent enforcing laws against marijuana possession in 2010, according to the American Civil Liberties Union, and legalization will save time and money spent in court systems for marijuana charges. Starting Dec. 6, marijuana usage and possession was officially legalized in the State of Michigan. Law enforcement officers will work with their communities to handle issues pertaining the substance moving forward. While the proposal decreases the spending and time of criminal justice officials, it also increases tax revenue within the state. Michigan State University criminal justice senior Evan Flohr believes that legalization will allow criminal justice professionals to spend more time on bigger drug related issues, in addition to providing excess funds for state costs. The Detroit Free Press reported that the approved proposal will generate $134.5 million in tax revenues annually, which is projected to increase as time progresses. In other states that have legalized recreational marijuana, tax revenue has greatly impacted crucial areas of state budget including additional funding for state education, public safety and transportation. According to Colorado Department of Revenue, the state has earned nearly $862 million in medical and retail marijuana tax fee collections since 2014. Stores will open in select cities across Michigan, based on communities that chose to opt-in to opening marijuana municipalities. Although the election may be over, lobbyists are not giving up on ensuring legislation follows their advocacy efforts, striving to give a wide range of communities the chance to financially participate in the legalization process. Nick Zettell said that since the proposal passed, it may be easier for cities to open marijuana retail facilities in comparison to medical marijuana dispensaries in the past; however, the guidelines and regulations to sell recreational marijuana have not been approved yet. A proposed initiated law to authorize and legalize possession, use and cultivation of marijuana products by individuals who are at least 21 years of age and older, and commercial sales of marijuana through state-licensed retailers.